Outfit ideas for women in 30’s – Society seems to believe that when a woman turns 30, she should no longer do fashion. This perception is wrong, because stylish women can dress up irrespective of their age. 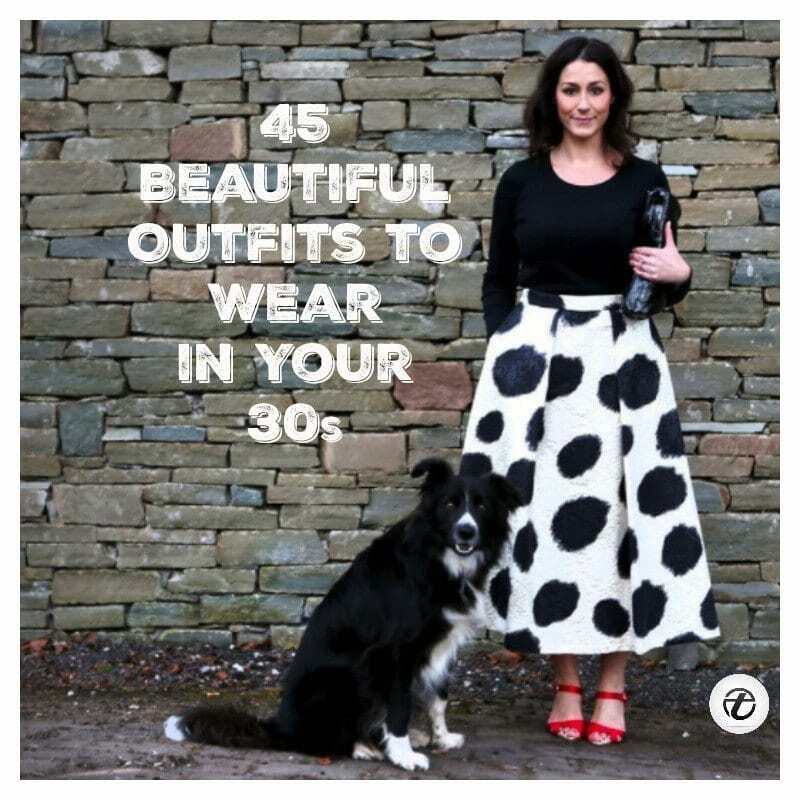 Thirty is the new twenty, and there are hundreds of different clothes ideas and tips that middle-aged women can use. 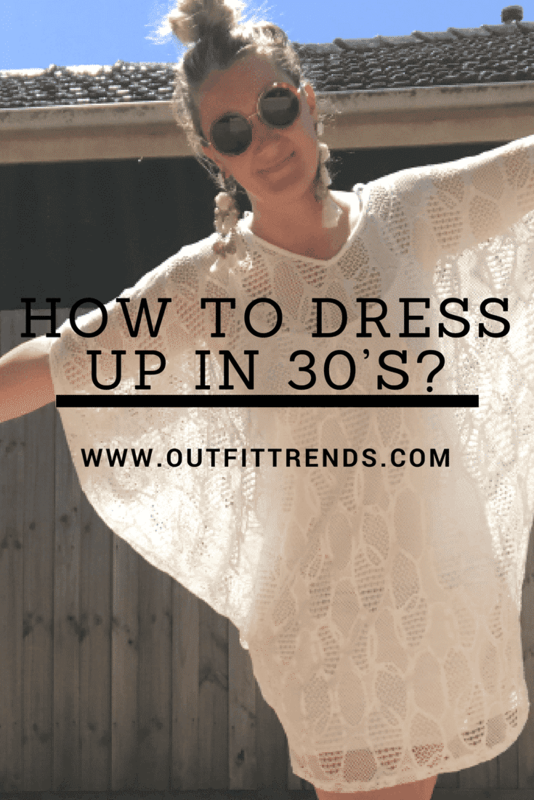 So how to dress up in your 30’s what are latest fashion trends for women over 30? this post will explain all. Use our ideas to dress up, even if you are a housewife, a socialite, a party woman or a professional worker and you’ll surely love the results. How to Dress up in 30’s? When you enter your 30s, there needs to be a change in your wardrobe as it needs more maturity now. There are certain items that you can’t wear anymore and there are some that you need to buy. We hope that the ideas shown below will help you compile the perfect 30s wardrobe. If you have not been working out till now then 30s is absolutely the time to start it before it gets too late. If you don’t, your muscles will soon start to get flabby as body fat builds up, so start working out at least 3 times a week. Moreover, staying fit is extremely important for a healthy life which we all want of course. And here’s a cute gym outfit to help inspire you. Do have a look at these 10 Super Cool Gym Outfits for Women. These beautiful pants are the Pantone pants by Arnhem collection and they are surely something you need in your wardrobe. The pants come on a slight bell shape but here they have been knotted at the bottom for a chic and different look. A jeans jacket and espadrille shoes complete the look. You should also check out these 15 Colors to Wear in Fall for Women. Planning to hang out with your girls for a fun-filled night? Wear a gingham dress! It’s flattering on every body shape and is so comfortable that you’ll just want to hit the dance floor instantly. Here are 17 Girls Night Out Outfits. The jewelry and other accessories you choose should be simple and yet be good enough to make a style statement. This year, tussle earrings are definitely the must-have accessory that should be on your list. You can choose to wear them with matching outfits or even ones in complete contrast and they will still look great. Here are 33 Best Ideas on What to Wear at Home. Travelling can never be fun if you aren’t comfortable which is why we love this blogger’s take on a stylish yet comfortable traveling outfit. Slip on flat mules was a great choice for shoes as many of us prefer to take our shoes off during long flights. You can find complete details on this outfit below and you’ll be surprised by how economical it all is. Do check out these Women&#8217;s Outfits for Airport-15 Ways to Travel Like Celebrity. Being above 30 is no reason for your pink craving to end as it is the most feminine colour which looks great on any woman. We all have certain shades of pink that work best for us, it could be hot pink or dusty pink, so by this age, you should have figured out what shade of pink is yours so you can keep rocking it forever. Here we see a beautiful pink long coat, paired with jeans and maroon booties, a rather unique but good looking colour combination. For busy women working away, pair a see-through crop top with loose black pants, a small black handbag, and large, oversized black sunglasses. A red lipstick is a perfect finish to an amazing wardrobe. For laid-back moms in California, stick to natural tones such as off-white and brown. Pair a kaftan with brown tight pants and an oversized tote bag. For corporate women, keep it practical with a tan brown blazer and cheetah loafers. And here are 22 Classy WorkWear Combinations for Women. Pair a white short top with a pleated bright skirt, a gold statement necklace and metallic heels. This look is perfect for brunch or work parties. Patterned tops with plain skirts make for a catchy outfit. Valentino handbags and shiny, copper heels are the perfect finish. Company fashionistas can mix work with leisure, by pairing a mini dress with a matching blazer. Wear Pantone’s colour of the season; lilac! This colour looks great for fall wardrobes. You can never go wrong with a simple halter neck black dress, and a figure-hugging leather belt. The fashionable women at Vogue know how to dress up. So take tips from them by keeping it plain and simple, but pairing it with a cheetah blazer for added style. A black and blue embroidered dress looks great with or without tights, especially with a gold chain necklace. For moms looking to dress up, pair a chiffon patterned top with jeans and suede boots. An orange and white striped silk shirt with skinny jeans and black platform heels looks great in the office and for daytime functions. Pair a dress with an oversized leather buckle belt, and a contrast jacket (such as purple with bright white), for winter fashion! A great way for older women to dress up is to keep their outfit simple, but wear brightly coloured, fashionable heels. Capri pants work well with a number of different shirts, which is why you need to check out these Best Tips for Wearing Capri Pants. If you’re looking for something to layer your beach outfits in Winters, then a khaki army jacket with faux fur would be an awesome vintage look. I have found her like 3 months ago, I fell in love with her ianlsntty. her looks are impeccable and i love the way she combines everything. she has style, there is no question about that. she knows how to put an outfit together and not many know how to do that. she always looks so sophisticated, fresh and stylish. I think I am not the only one who thinks about her that way. 3 months ago she had like 350 followers… and look at her now. and this is absolutely correct. sometimes I wonder why an outfit blog is so special, well, this one is special. and above all that she knows that it is about the outfits, nothing more and nothing less! !